We are a full live jazz quartet. Are you looking to add some extravagance to your event? 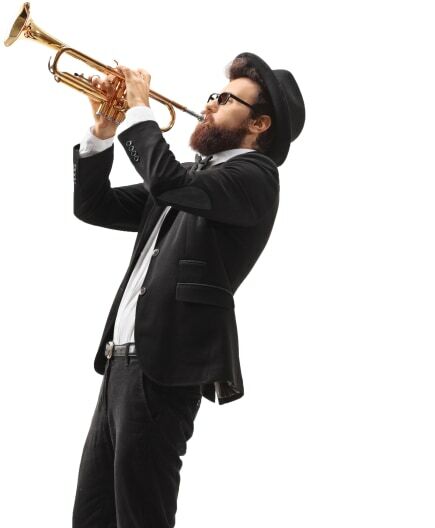 A jazz band may be just what you need! Watch your guests groove on the dance floor to the voluptuous sounds of the sax, piano, strings, and drums. Jazz bands can be sophisticated and classy, or bluesy and sultry. Either way, they're sure to be a hit at weddings, holiday parties, or corporate events. Search for Jazz Bands in Taunton, Massachusetts above. Please note that these Jazz Bands may also travel to Raynham Center, Raynham, North Dighton, East Taunton, Berkley, Dighton, Chartley, Assonet, South Easton, Rehoboth, Lakeville, East Mansfield, West Bridgewater, Middleboro, Freetown, Elmwood, North Easton, Attleboro Falls, East Bridgewater, East Freetown, Seekonk, North Attleboro, Foxborough, Plainville, Rumford, Halifax, Whitman, Warren, Monponsett, and Avon.